There are quite a few old wives’ tales circulating when it comes to acne. From claiming that toothpaste can replace the best acne products, expert-wannabes still continue to spread false information. 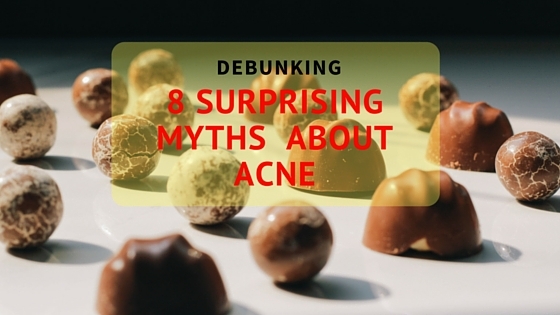 But before ruining your face, take a look on our 10 common misconceptions about dealing with your acne. Myth #1: The more you wash your face, the better. Washing your face removes dirt that causes pimples. But washing your face too much causes dryness and irritation and this can lead to breakouts. A rule of thumb for everyone is to wash their face twice a day with the best acne products in a circular motion and gently pat it when you’re done. Frequency is not the key when using these acne products. It’s consistency! #2: Acne goes away on its own. Clogged pores cause pimples and unless you take actions by using products that can unclog your pores, your pimples will continue to multiply. It will never go away on its own. #3: Sleeping late causes breakouts. Experts never object that stress is one of the causes of breakouts. But just because someone sleeps late, it doesn't mean he’s gonna have breakouts. How come, you may ask? Can't you sleep late for 8 hours? The cause is the stress, not your sleeping time. #4: The more product I put, the more effective it will be. Some people, when they found the product that is best working for them, they tend to dispense greater amount than usual believing that it will give them greater results. But instead of achieving a clearer and youthful face, they end up looking irritated, stressed and old. When using a product, always read carefully the instructions. If it suggests 4 drops, don't exceed to that amount. If it says use only at night time, strictly use it at night time. #5: Facial wash is enough. Some are just waste of money. The truth is facial wash is not enough! One needs to use toner or cleanser after washing his face to further remove the deeply-seated dirt that a facial wash failed to remove. Furthermore, these facial wash or soaps leave residue to the face which can clog the pores and eventually can cause you breakouts. The only solution to remove the residue accumulated on your pores is to use toner or cleanser. However, toners and cleansers usually cause dryness. To avoid it, it is suggested to use moisturizers and/or night cream as the culminating part of the skin care routine. But that still depends on your skin type. 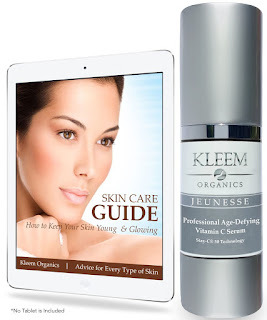 People with oily faces are not required to use moisturizer anymore as it will trigger the secretion of sebum more. Makeups clog one’s pores and may cause breakouts but they are not all the same. Some makeups are especially made for acne-prone skin and they are even intended fight acne! Many dermatologists suggest powder-based foundation with ingredients like zinc oxide and titanium dioxide. Such powder and ingredients are used to absorb excess sebum on the face that is one of the root causes of breakouts. #7: Don't pop your pimple. It's bad! People who are concerned of you have probably once warned you to stop popping your whiteheads and blackheads because it will leave you pock marks and scars. True but not all the times. Popping doesn’t give you pock marks when done properly. If you tried to go for a facial, an aesthetician would use a tool called extractor. She would use this tool to remove your blackheads buried in different areas of your face. Popping is practiced by these skin care professionals but it never causes you any single scar. The reason is because 1) their tools are sterilized and 2) they know which to pop. When they pop your whiteheads or blackheads, they would instruct you not to wash your face for a few hours. That's because washing your face after popping digs your skin deeper and it will surely leave pock marks and scars on your face. Popping is not always bad. Just let the skin care professionals do the job. Many people believe that pores have the ability to open and close. Pores do not have muscles so it is impossible that they can open or close as it reacts to a certain temperature. No mater how long you steam your face, it will never stimulate your pores to open. There are some over-the-counter products that claim to have a pore minimizer capability. They don’t essentially minimize your pores but they just make them look smaller. There are certain ways on how to make your pores look smaller. One is removing excess oil and build-up of dead cells.